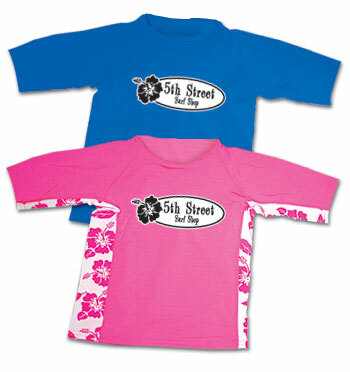 SPF50 offers outstanding logo reproduction on our blank lycra shirts. From runs under 100 to over 5000, our quality standards ensure that your image displays accurately on all our goods, whether you order light or dark colors, solid panel, aloha prints, long sleeve, short sleeve, adults or kids sizes. 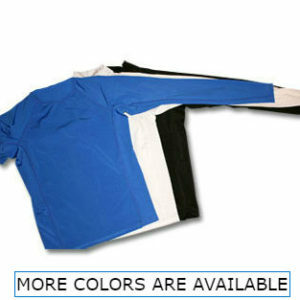 Direct Screen Printing on our lycra rash guards is a great option for many organizations. For those who need product, but are looking for smaller quantities than those associated with a run of heat transfers, screen printed goods are available in quantities as low as 72 pcs. Limited to one color print – light inks on dark garments, dark inks on light garments. Set-up (art and screen) charges apply to initial and subsequent orders. Cost effective, quick turnaround, excellent appearance and durability. 250 heat transfer prints are the initial minimum. Order only the number of lycra shirts needed at that time. Remaining heat transfers kept in stock for future orders. After initial print run, subsequent orders are produced and shipped more quickly (often in 1 week). 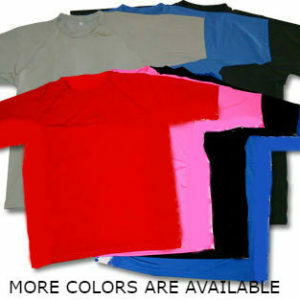 24 shirt minimums, same price as 144, 288, etc. (order only what you need and still receive great pricing). 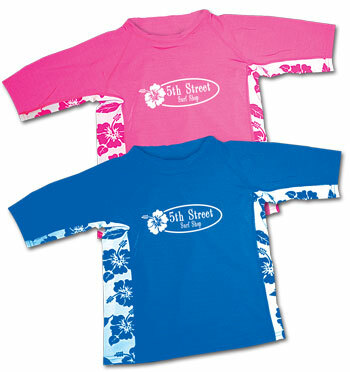 Most designs work very well as 2 or 3 color print and look AMAZING on any color garment (eliminate ink changes during printing). Excellent durability, premiere print quality. Setup charges apply to initial order only. We are constantly developing stock designs for our wholesale customers. These are excellent choices for stores who need cutting edge graphics, but don’t have a logo. Below are our current season stock designs.